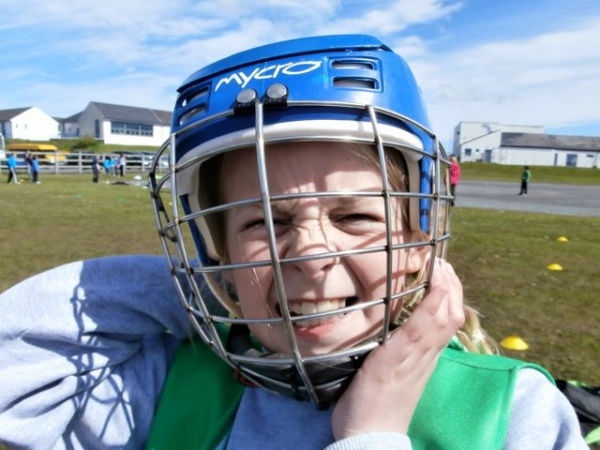 There was a shinty tournament on Islay at Bowmore high school on the 24th of Febuary. 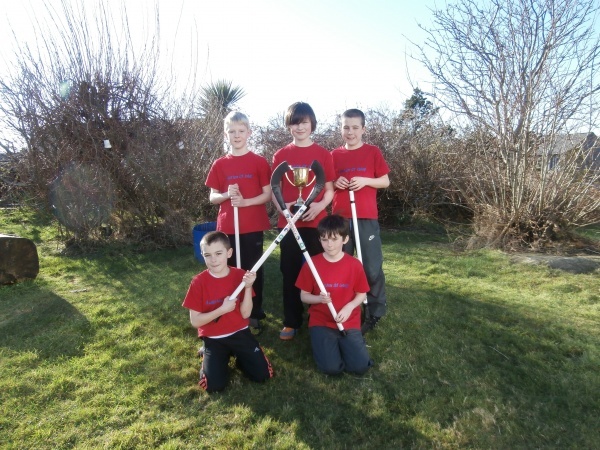 Schools from around Islay came to the shinty tournament. It was a great turnout. There were heats and then there was a final. Our Port Ellen team won it for the 10th time in a row, and the Port Ellen younger team won their group as well. So it was a good tournament over all for Port Ellen as we took both of the trophies home and were very proud of it. It was very fun and was a good challenge for us. We want to thank all the people that prepared it and we thank all the people that came to the event. On Sunday 25th February, Port Ellen went to Islay High School,to play a Shinty Tournament, against Bowmore and Port Charlotte. 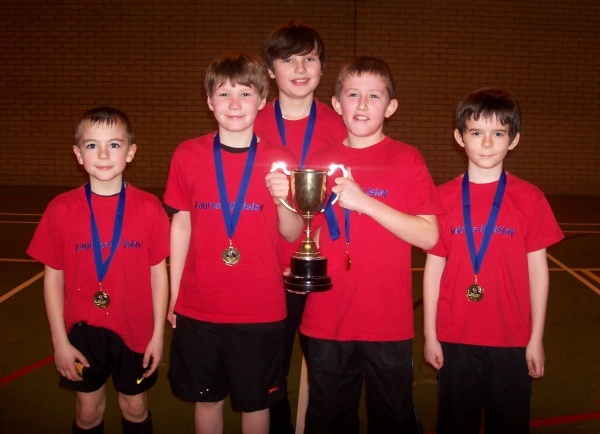 There was a P4/5 league and a P6/7 league, each playing in a different part of the school. Our team were in the P4/5 one, and matches were 6 minutes long. We had a great time,in my team there was Maisie in goal, Jodie and Abbie in Defence, but Abbie sometimes went up, and scored some fabulous goals. I(Harry)was in midfield and Alicia was up-front. And we all really enjoyed ourselves. The top 2 were Bowmore & Super Sweepers,so we were in the FINAL!! The Final was really hard, we were doing really badly at half time,as it was 3-1 to Bowmore. But Alicia added another goal in the second half,where we played a lot bettter,but in the ending seconds, Bowmore scored. Well done Bowmore! It was Bowmore4-2OPort Ellen, we had come second,but overall we had a wonderful time. Meanwhile in the other hall, Port Ellen were doing rather well, although P4/5’s were only back for one game and the final, we thought it must have been very interesting. When Miss Ramsey read out the scores I was amazed Port Ellen’s team Spiderpigs were third, The Jimmy Brigade, also from Port Ellen were second and the team in first were The Bullseye Boys from Port Ellen! We had a great time overall,and many thanks to Miss Ramsey for organizing the tournament. 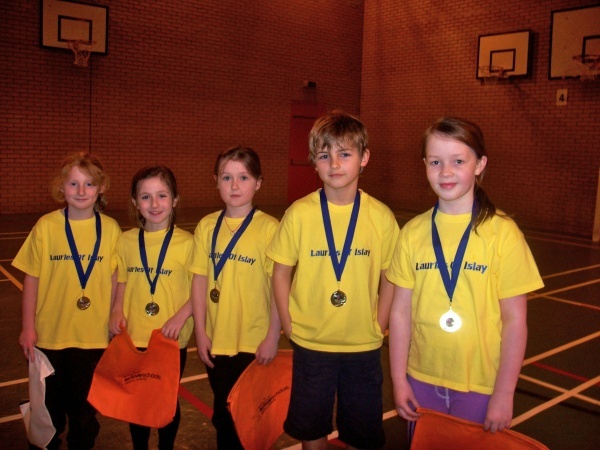 On Sunday 25th February it was the Shinty Tounament. We had to be there by Quarter to twelve and it started at twelve o’clock. The p6/7 went to the big hall and the 45 had to go to the wee hall i was at the wee hall, and the first teams to play were bowmore and the port ellen team the super sweeper and i got hit in the arm by a stick. The scores were 1-1.